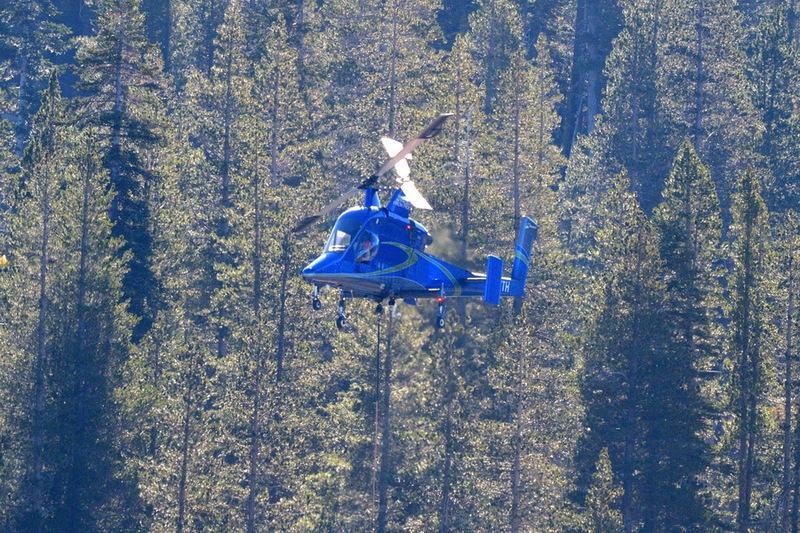 Any of you Sugar Bowl skiers out there will be glad to see this update on the new Crow’s Peak lift. 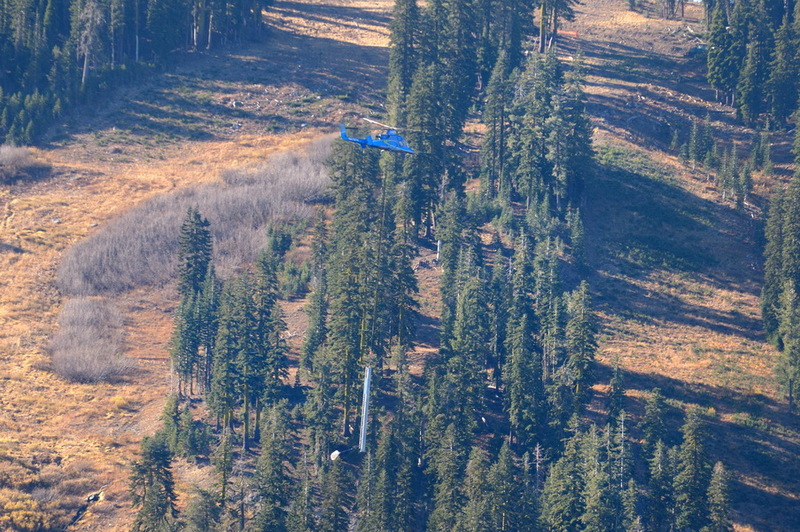 On Saturday, Oct 19th, I could here the chop-chop-chop of a helicopter over the summit area. 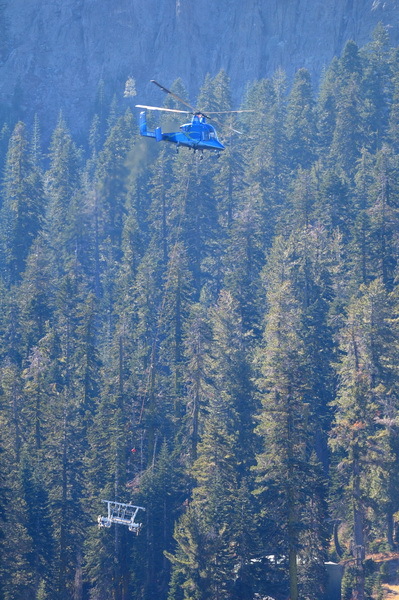 I grabbed my camera gear and raced over to the Sugar Bowl gondola parking lot to watch the heavy-lift helicopter haul the towers up to Crow’s Nest. 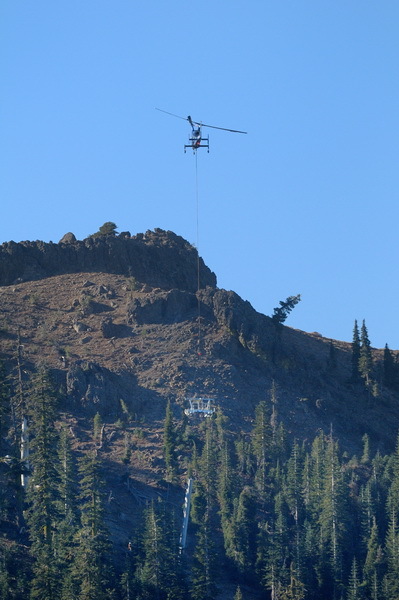 By noon they had all of the towers installed. 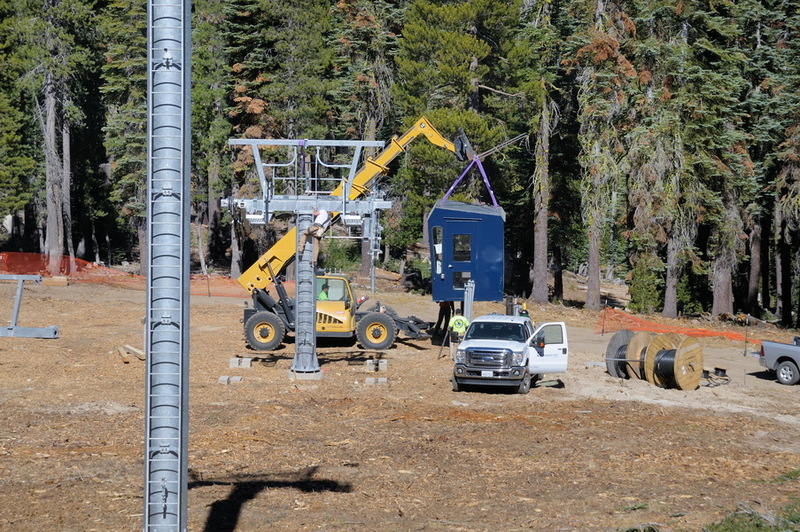 On Sunday I hiked over to the bottom of the new lift to see them installing the lift control cockpit. 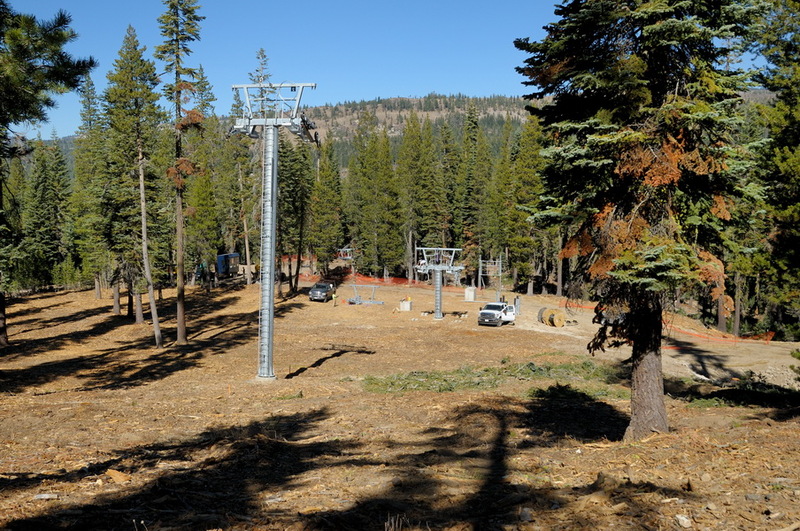 While there is still plenty of work to do, I’m confident that we will have a new peak to ski at Sugar Bowl this winter. 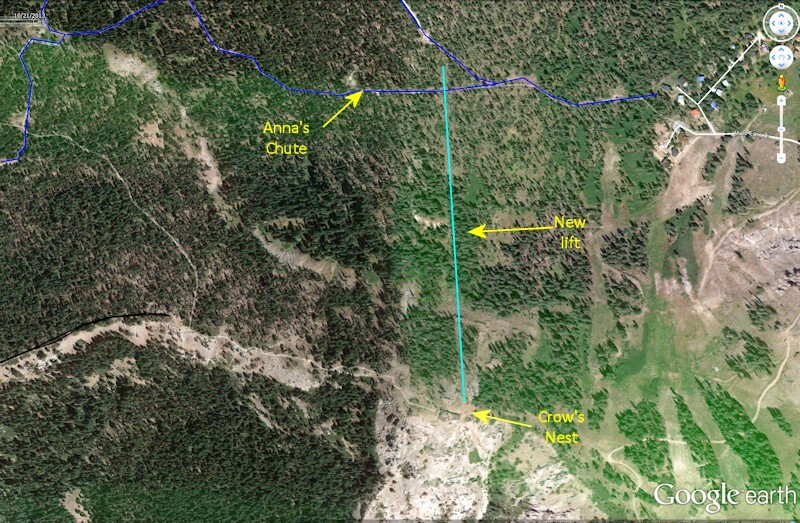 It turns out that the bottom of the new lift intersects with Royal Gorge’s Anna’s Chute cross country trail. 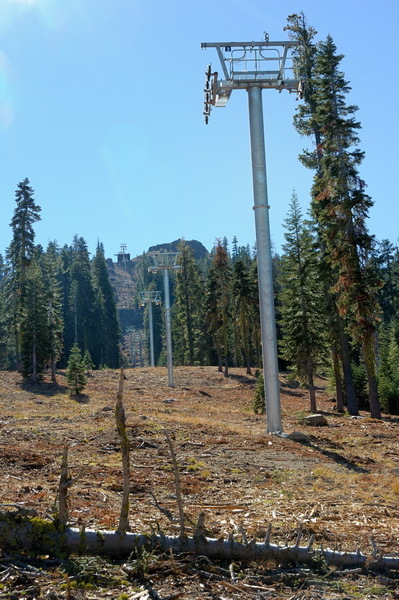 I couldn’t help but think that it might be fun to get the back country skis out and ski out to the lift, then take the lift up to the top and ski down from Crow’s Nest back over to Serene Lakes via Claim Jumper. This should be an interesting winter for exploring new terrain. Bring on the snow (after they string the cable and hang the chairs of course)!